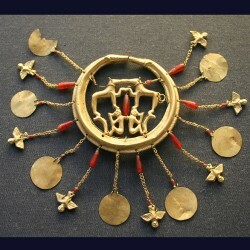 The show consists of three exhibitions in one. Indeed, I could distinguish between the first part dedicated to Leonardo’s inventions and art, another which focuses on a theory about the making of the Mona Lisa and a third one which aims to create a Da Vinci “experience” to the viewer, in a similar way it happened with “Van Gogh Alive” exhibition last year. I would better divide between a “tangible” and a “visual” section; the first consisting of replicas of the things he made or imagined, and the second, based on photos and video-projections. 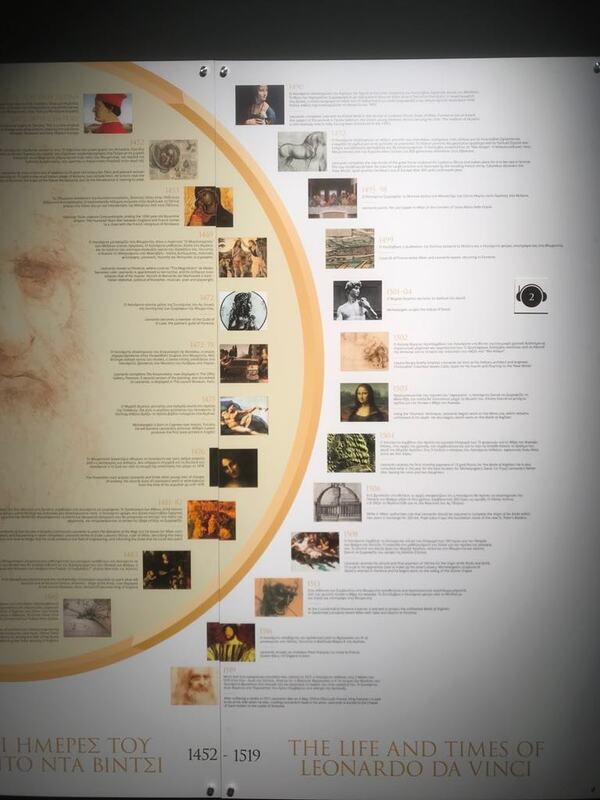 Entering the hall, a timeline of Leonardo successfully places his activities into the history of his era. 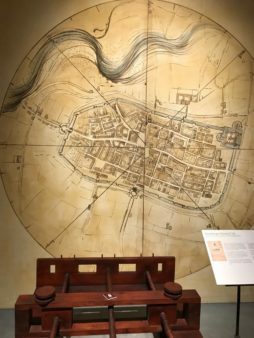 Then follow the replicas of the manuscripts where Da Vinci’s thought is recorded, surviving mostly as notebooks set into codices. 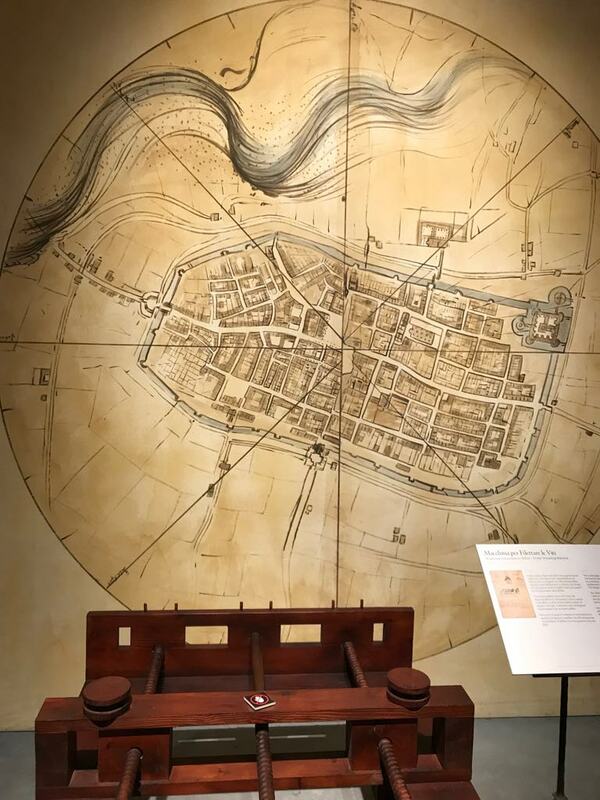 Timeline and replicas are the only indicators of Leonardo’s historical context, at least for the tangible part of the exhibition. And then, true fun begins! Lifesize models of the machines he designed (flight, underwater action, war machines, theatrical productions, etc) fill the space. Functional models of systems he invented in order to place within machines are there for the audience to fiddle with. A famous Da Vinci optics experiment inspired my personal favorite; a fascinating installation of mirrors aligned along the interior walls of a polygonal cabin. Here you can enter and marvel at your endless reflections! 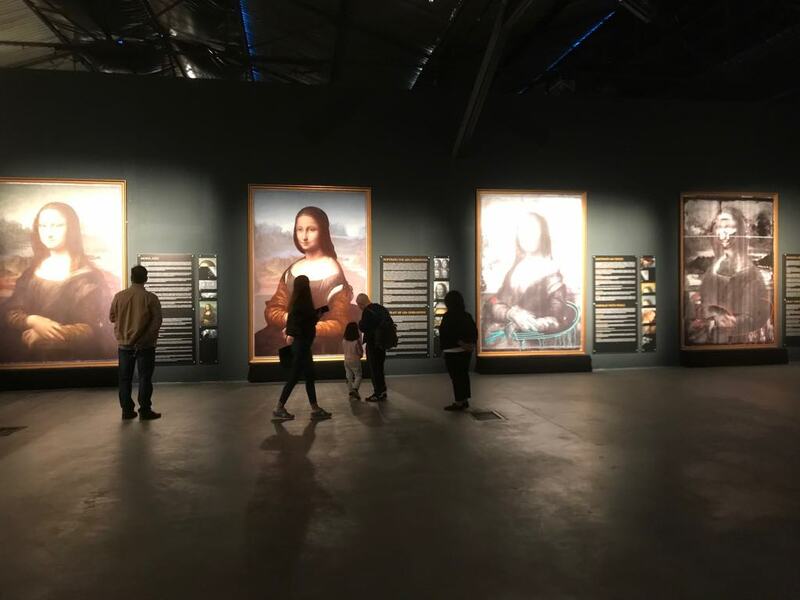 Posters of Leonardo’s surviving paintings, anatomical studies, and important sketches were also there enabling any visitor to familiarize with the Master’s major artworks. Still, this was not the exhibition’s best part. Latest paintings identified as Leonardo’s work (such as Salvator Mundi) are absent. The use of photos instead of true reproductions of the paintings (the lack of texture meant much of the technical data was not there), the absence of chronological information from the labels and the limited reference to the historical background of the paintings meant that the display pointed to answering “what” did Leonardo make, leaving aside the “why and how”, at least for the paintings. 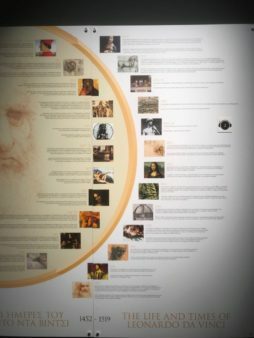 I make an exception for the presentation of Leonardo’s iconic Vitruvian Man; here, an interactive panel presents the characteristics, background, and meaning of the masterpiece. And the viewers can discover them all at their own pace. It was then when I walked through the exhibition’s second section, which consists of two major projections. The smaller one highlights on Leonardo Da Vinci’s masterpiece The Last Supper, and it follows the typical format of an explanatory video. Impressive or plainly camp? It is impossible to say. True, however, it explains a lot on the background of what we have already seen. And one has to admit: it IS fun! The third section is a photo exhibition presenting a controversial as well as interesting theory about the making of the Mona Lisa. Here, the visitor can see the iconic painting as developed; we discover how technology revealed that Lisa Gherardini and the Mona Lisa are, in fact, different from each other! Again, the focus here is on technical advances that allowed us to reach the surprising result; the whole may not be fully understood by every person in the room. And again, the analysis involves only the human figure on the painting and not the surrounding landscape, on which there is also a long bibliography attempting to solve the making of the masterpiece. Still, the very idea that the world’s most recognizable female face is, in reality, a kind of palimpsest and it does not represent a specific person, is enough to impress everyone, with or without a tech background. The display is, overall, impressive! Observing the spectacular constructions, which certainly reflect Leonardo’s advanced sense of the world, one cannot help but marvel at the extent to which the ultimate Renaissance Man was able to observe and then decode the nature’s forces. 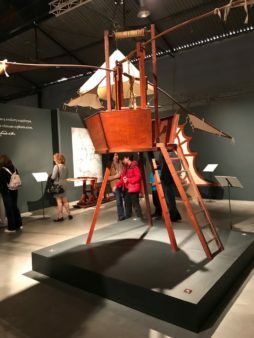 Without a doubt, the exhibition shows Leonardo as an individual not only eager to understand the world but willing to make it a better place to live through practical solutions to both tangible and theoretical problems. Even with its limited “faux- pas”, it remains faithful to its title which focuses on the man’s “genius”, purely devoted to practical knowledge at its best. True: Leonardo might have been many things but he was not -and never aspired to become- a “theory scholar”. His self-taught, creative mind could produce “how-to’ s” set in a non-defined time or space. The lack of historical background info in the exhibition might put a “Mona Lisa smile” on the face of the history geeks among us. 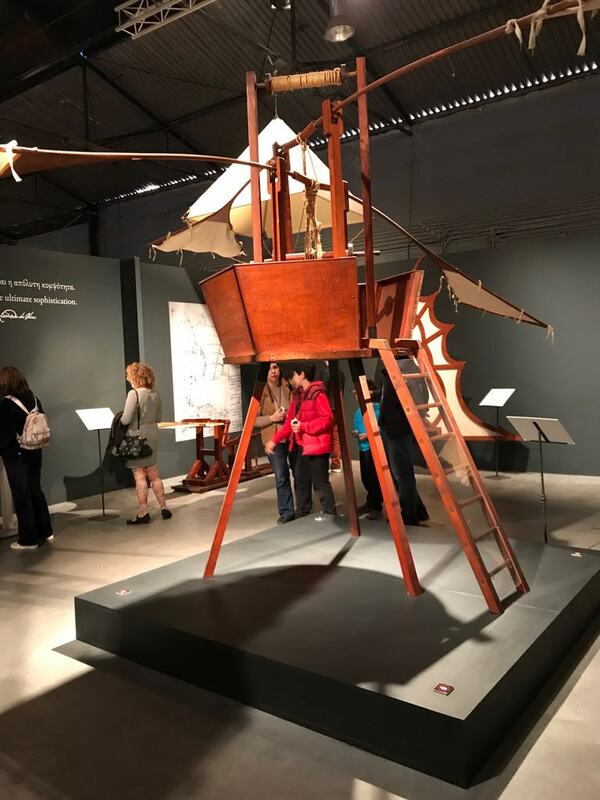 Still, this exact type of display might actually reflect Leonardo’s take on the world: a bird’s eye view to an endless space for inspiration. And a visit was definitely worth it!